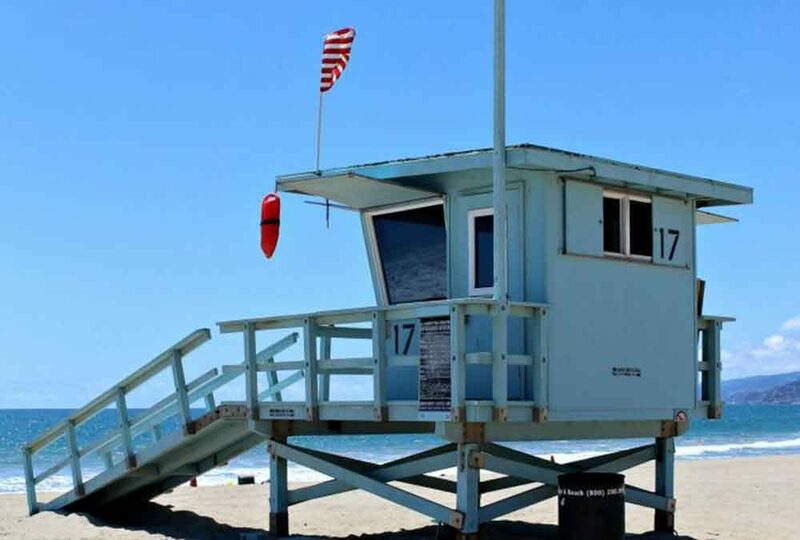 The Los Angeles County Lifeguards use different flags that are posted on the beach and or left flying from the lifeguard towers to designate appropriate and safe areas for swimming, surfing, and other recreational activities. LA County Lifeguards use black ball and orange flags to designate safe areas for swimming, body boarding, surfing, and skim boarding. These flags can vary at each beach on any given day depending on the local conditions and regulations. Always check with the lifeguard before entering the water if you are unsure of the conditions or what the flags mean.